RMU is not so Rocky Mountain Underground anymore. The Colorado brand continues to expand from its original cottage skis into the bike and travel gear — even flannels and the world’s first dog collar that turns into a water bowl. RMU emerged over a decade ago after its founders traded a case of beer for some homemade skis. They essentially taught themselves the art of ski making. And it wasn’t always pretty. Playing was always the priority. RMU founders consistently ski 50 days and ride mountain bikes 1,000 miles each year. And the field testing has paid off. Fast forward a decade and RMU continues to evolve, putting new prototypes on pros each year and launching into the bike, travel, and lifestyle gear markets. And the skis these days are beautifully dialed and have earned high praise from reviewers and customers. Today, the brand has 25 employees, each with a mandatory 50-plus “days on snow” job requirement. In keeping with its underground background, RMU has grown incrementally, mostly by listening to what its followers want to see next. You can buy it all online and in major specialty retailers, but RMU also serves up all its gear at its bar/boardroom/store in Breckenridge, Colo.
“The shop is so critical to the RMU brand. It gives us a fun place to work, meet up for rides or skinning (meetings), and gathering after,” said designer Joe DuBois. 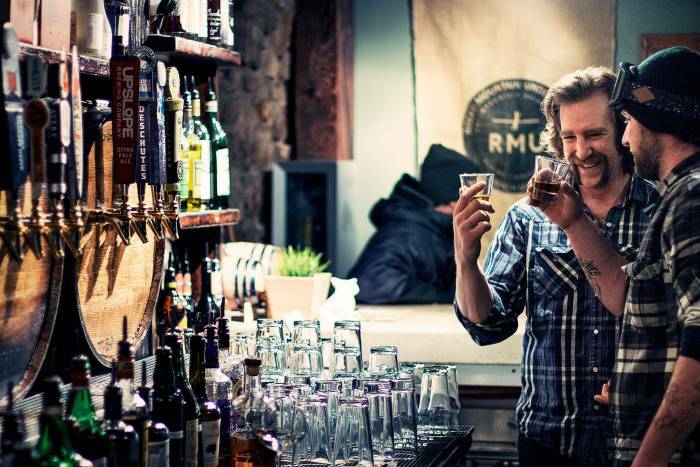 Customers can come in the RMU Tavern for a beer served up in the county’s only firkin (we’ll let you find out about that), get set up on some skis, check out RMU’s latest gear innovations, and wear flannels together. The all-wood core North Shore 108 is RMU’s most anticipated ski of the season. A stiffer core means you can go faster on bigger lines but also stay agile enough to huck with the best at Breck. Other things you’ll appreciate: larger tip and tail rocker, longer radius, and an extra binding reinforcement. The Core Pack is aptly named. 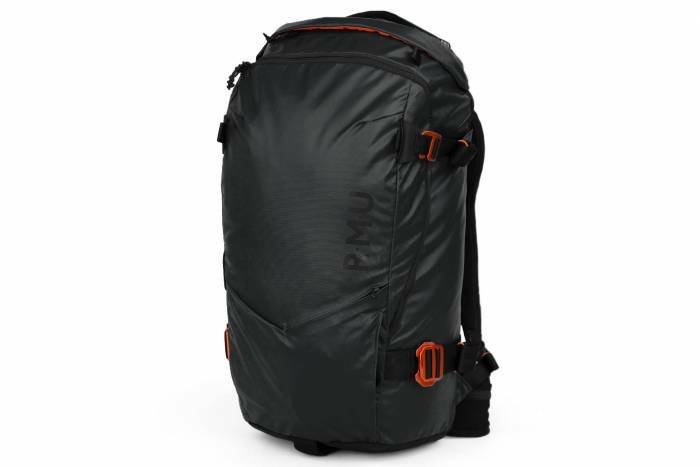 This travel pack works for just about any outdoor adventure from backcountry skiing (with a three-way ski carry or snowboard haul) to rock climbing (with a helmet sling and a stormproof pouch). 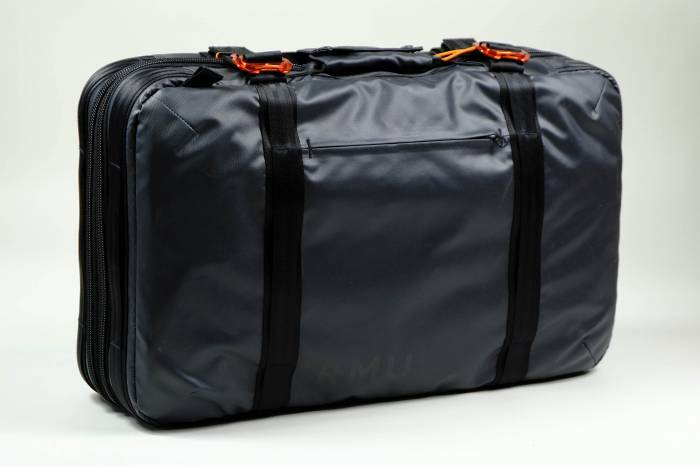 It has a solid 35L capacity, but this sack fits on the plane too. 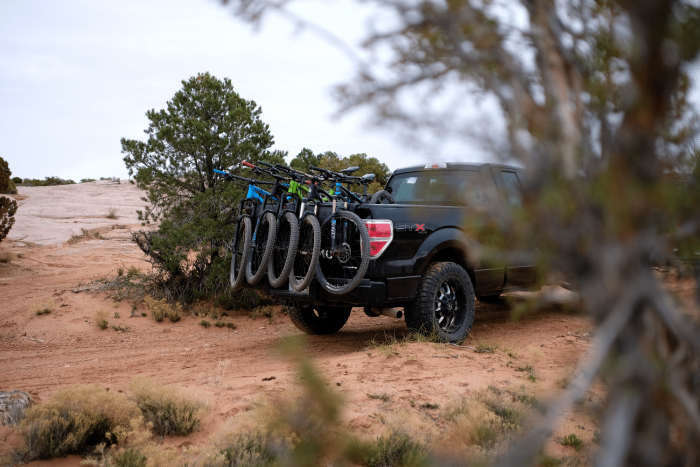 If you’ve got a truck and a bike, this is your new best buddy. GearJunkie gave it a Best in Show award at Outdoor Retailer. There are so many rad features: cable lock sleeves, fork and top-tube straps, built-in tool storage, and even a cold-beer stasher. Perhaps most importantly, it works with your backup camera so you don’t break the rig you’re trying to protect. The brand officially retired the Apostle 105 with 15 awards under its boards. So we can’t wait to see what the 106 does after that. The Apostle 106 comes in wood, metal, or carbon, all with a progressive radius and elliptical tip rocker. Touted as the one RMU ski that can do it all, the Apostle 106 builds on the best of its predecessor: longer contact surface on hardpack and a fatter shovel for deep pow. Get it? Depending on how hard and long you’re going, this waterproof briefcase — er, adventure travel pack — expands from 35 to 50 L. But we like all the thoughtful features: shoulder-bag conversion straps, valuables secret stash, lockable zippers, and an integrated bottle opener. This article is sponsored by Rocky Mountain Underground. 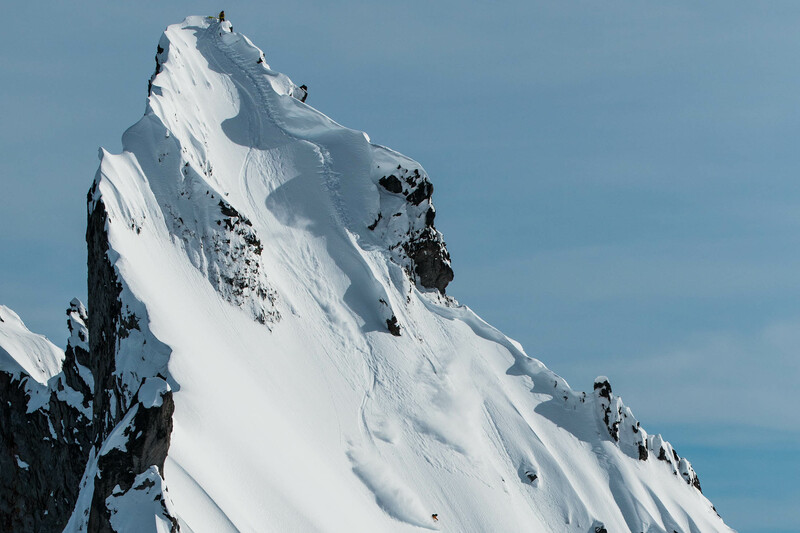 See the entire ski collection here.